Tifo is derived from the Italian word tifosi, which describes a group of fans, or when used in the form “tifo” more commonly describes fan support through the use of flags, two-pole banners, smoke/pyro/flares, other visuals such as card displays, and large choreographed displays. Tifo Production: This team does the sewing, drawing and painting of our large choreographed displays. You can signup to get emails about upcoming production sessions on the volunteer form! Tifo Deployment: This group pulls the ropes and lifts the poles on the big displays that you see. Check the tifo forum to sign-up to help with tifo deployment! Matchday Tifo Crew: Matchday tifo crews do all the setup and teardown of the gear in the Brougham End. 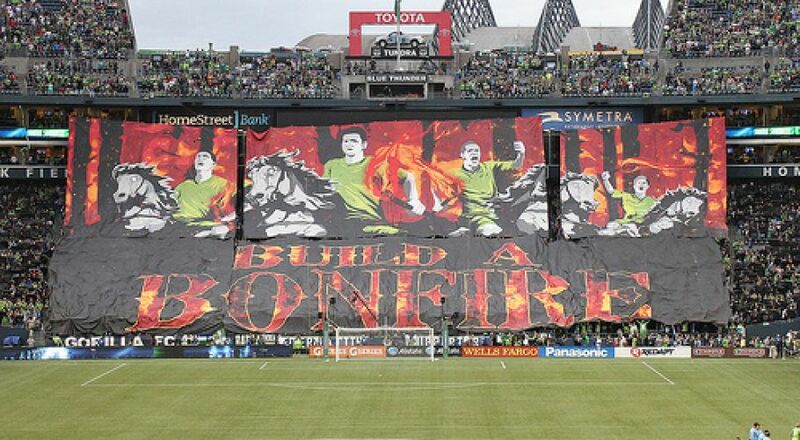 If you're interested in joining a matchday crew, visit the tifo forum and sign-up! 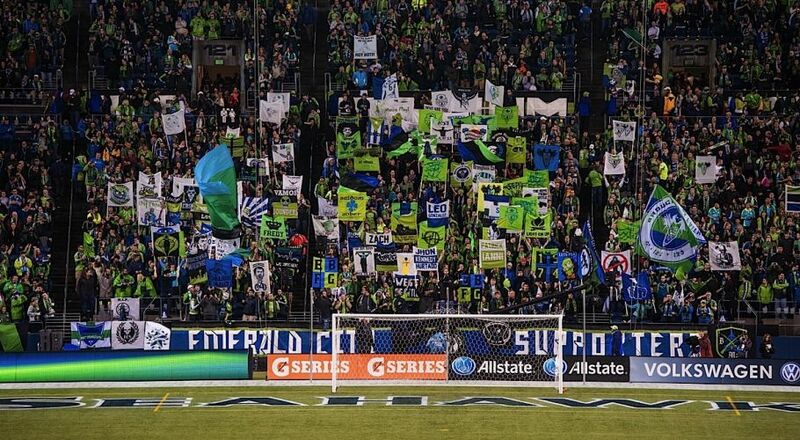 A popular form of tifo you can make yourself is a two-pole. See our two-pole tutorial for a step by step guide. Personal tifo in the form of flags, two poles, or rail banners brings another dimension to our support and is encouraged. There is a great sense of pride when you put the time and energy into creating something on your own! We host two pole parties throughout the year, come out and join us!